"We create new & useful ideas by making remote association between two or more internal thoughts & external objects and stimuli. The more unrelated and the more remote the combined thoughts and stimuli, the more creative the new & useful idea." Vern Burkhardt (VB): Would you talk about the "devastating creativity-spoiling habit" of thinking you are not creative, and the flip side of thinking you are more creative than you are? Dr. Edward (Ed) Glassman: Almost everyone, if not everyone, is creative at some level. Everyone has some ability to combine old ideas into new and useful ideas. If you think you are not creative, you will not try to be, and even daily on-the-job creativity will seem beyond you. You will not read a creativity book or attend creativity training workshops to become more creative, and you will not improve, much to your loss and the loss of your organization and team. And if you think you are more creative than you are, then a similar process takes place. You will not read a creativity book or attend creativity training workshops because you think you don't need any more training, and you will not improve. Alas, the truth is that everyone can benefit from reading a creativity book and from attending a creativity training workshop. Another devastating habit consists of deciding that other people on your team are not creative, or that they are more creative than they actually are. The outcome is no creativity book or workshop training. VB: You say your book focuses "…on the quality solution, not on creativity. It focuses on procedures, not on mindless, enthusiastic fluff." Are you suggesting there too many books about creativity that are only "fluff?" Edward Glassman: I am saying that in my book, Team Creativity At Work I and II and in my creativity workshops and meetings, I focus on procedures that work to produce quality solutions, not on endless theory. My goal is first rate action plans that are of benefit to the participants and the organization, and to the reader of my books. VB: What is a "blockbuster idea?" Edward Glassman: In my Creativity – Innovation – Meetings, after idea generation, each participant selects ideas and develops a proposal to present to his or her team for feedback and for improvement. Each team then has 5 to 6 proposals to combine into one 'blockbuster proposal' that represents a proposal of outstanding quality. These blockbuster proposals are presented to all the groups for feedback. This slow accumulation of high quality proposals leads to outstanding creative solutions. All proposals are saved for further development within the organization. VB: Would you talk about a "trigger proposal?" There's a unique antidote to this difficulty. Trick your mind, pretend you own a new company, and combine ideas into a creative trigger-proposal to solve the problem in this new company, not your current organization. After you write your trigger-proposal, identify the criteria you will use to evaluate solutions. Then force combinations between your trigger-proposal and your real problem, and develop a quality solution for your organization that meets the criteria. Trigger-proposals keep you from committing to an idea too soon, avoiding the quick fix. This unique process allows you to review and creatively combine ideas you might prematurely reject, and thus miss out on a higher-quality solution. This approach also keeps you from applying criteria too soon, which allows you to stay creative as you select and combine ideas. In addition, it keeps you from using unstated, phantom criteria. Finally, it prevents you from stifling your own ideas with comments like "we tried that before" or "we'll never get them to agree." After all, it is a new company. I describe this creative approach in my book. VB: You describe how, in a number of creativity meetings you've led, participants were taken to stimulating places during the incubation stage of the creative process, such as the Smithsonian Institute, Epcot Center, SeaWorld, and Kennedy Space Center. Is being exposed to high impact and fun stimuli during this stage necessary to inspire trigger ideas and metaphors that spark new and highly creative ideas? Edward Glassman: The visits to these stimulating places are not necessary, but they certainly help. This is particularly the case for incubation time to allow the brain to incubate and churn. And the trigger ideas and metaphors, as well as the occasional poem that participants write spontaneously, inspire all of us. I recall a poem written by a middle-aged engineer who said he hadn't written a poem since college decades before. VB: "Effective outcomes depend on everyone being non-evaluative to encourage people to express ideas. Another reason is that the basis for evaluation of new ideas is old information and old ideas." Is it difficult to learn how to be non-evaluative? Edward Glassman: It is easy to learn to be non-evaluative once a person practices it in a workshop. Reading about it in my book, followed by practice with other people, also works. In my book, I describe guidelines to being non-evaluative that help a great deal. VB: Is the goal of your creativity meetings always to end up with an action plan? Edward Glassman: Absolutely. Action plans are essential for adequately focused follow up. My goal is for the action plans to describe the actions the participants will take to turn the proposals into reality, and to teach the new creativity techniques to other people in the organization. VB: Although brainstorming, which Osborn invented during the era of the Model A Ford and the DC 3 airplane, is old fashioned, you use it at the beginning of an idea generating session, but not for getting high quality solutions to problems. Is it almost always the case that brainstorming produces only obvious solutions? Edward Glassman: Optimally, brainstorming is a low level procedure. It can produce some unexpected solutions, but it produces them too soon in the process and restricting evaluation to these ideas will lead to choosing a 'quick fix' solution. I use brainstorming as a first step in the process of idea generation because it allows people to list on flip chart paper the pet ideas they brought with them to the meeting so the idea won't be lost. Then they can feel free to consider more creative and unexpected ideas. VB: You say creativity meetings are the most effective way to teach advanced creativity procedures and creativity thinking at work. Is it possible to learn these skills though self-study, such as reading your books? Edward Glassman: Of course a person can learn advanced creativity procedures and creative thinking skills through reading my book, Team Creativity At Work I and II, especially if one practices with other people working on real problems. The key to learning is motivation, and working on an important problem motivates. VB: It seems important that participants come to creativity meetings prepared. For example, in some cases they have read your book on creativity. What are the prerequisites for participants to be successful in these meetings? Edward Glassman: Participants do well to read my book ahead of time. The most motivated people do. In addition, it helps greatly if they come with an open mind ready to seize on new approaches and apply them to solving the problem that brought them together. It also helps if they park at the door their old ideas to solve the problem, look forward to new paradigms, and trust the process to work. Negativity decidedly does not help. What also doesn't help are people with a stubborn vested interest in one particular solution. Usually, however, these people loosen up and join the fun. VB: Do you prefer to have low- rather than high-conformers in your creativity meetings? Edward Glassman: Actually, I prefer that each creativity team in the meeting have some low and some high conformers. Low conformers contribute the bizarreness that we need in the front end of the meeting, the creative part. High conformers bring the outcome closer to earth in the back end of the meeting, the evaluative part. Each contributes importantly to the mix and makes the interactions productive and balanced. Bridgers also help keep the cauldron churning. And the creativity techniques help stir the pot. I discuss high and low conformers, and bridgers, in my book in depth. VB: What is needed to ensure people use the skills they learn during a creativity meeting when they return to their workplace, so the training has long term benefits for the company or organization? Edward Glassman: Detailed action plans stating who, when, how, what, where, and why participants will use the new skills in their workplace. And teaching these new skills to other people goes a long way to achieve that goal. Also, immediate use of skills helps. I recall a one day creativity workshop I presented to a team of lawyers at the beginning of their weeklong retreat. The Director of Human Resources told me later that they used the creativity techniques I taught them the rest of the week. Imagine – lawyers. Even they need creativity skills despite being bogged down in legal precedents. VB: "Actually, there is no solid scientific evidence how or where the brain carries out creative thinking." Why does the myth about the right hemisphere being the creative part of our brain persist? Edward Glassman: Myths and wishful thinking persist in many, if not all, of our belief systems. There are no reasons why they persist. It's a mystery. VB: Why is it useful for people to fill their minds with information, even if unrelated to their work, if they wish to improve their creative thinking abilities? 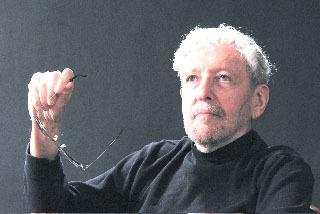 Edward Glassman: Creativity is the ability to combine old ideas in our mind and environment into new and useful ideas. To paraphrase Pasteur, creativity favors the prepared mind. Thus, filling your mind with lots of ideas and information improves creative thinking. A person cannot become a creative scientist if she or he does not know science. Education, training and travel helps. Attending lectures, seminars, workshops and meetings also helps. Talking to other people helps. VB: "…people turn out work that is more creative if they are internally motivated." Are these the people most likely to exhibit "responsible self-direction?" Edward Glassman: Research shows that people who are internally motivated turn out work that is more creative. Internally motivated refers to the daily enjoyment that creative effort provides. People like to be creative. Responsible self-direction refers to people who are well trained, agree to carry out the manager's and team's goals, and are self-directed. Therefore they don't have to be closely supervised. The two groups can overlap. In my book I discuss each at length. VB: "People often prefer their own idea to a better idea, particularly if someone junior proposes it." Does this surprise you? Edward Glassman: It doesn't surprise me. I caught myself doing this. Still, it messes up the team's dynamics, lowers the chance for creative contributions from junior people, and minimizes the quality of a solution. At the same time it reduces any chance for the junior people to experience daily enjoyment, the internal motivator for creative effort. VB: Does being creative mean you perpetually have high energy? Edward Glassman: Everyone gets tired. High energy can interfere and distract. Being creative entails the ability to combine old ideas into new and useful ideas. High mental activity works. Thinking and using creativity techniques works. VB: Is your use of the term "nonlinear creative thinking" the same as "lateral thinking?" Edward Glassman: I am not sure. I think nonlinear creative thinking means a more bizarre approach and outcome than lateral thinking, which seems to be a more logical leap. VB: In your book you don't refer to Edward de Bono's work, such as his six thinking hats. Do you feel his approaches and concepts are still relevant today? Edward Glassman: Edward de Bono made great contributions to the creativity field. His approaches and concepts are still very relevant and helpful. VB: Team Creativity At Work II is a collection of newspaper columns you wrote for a local newspaper. How did you get into doing that, and did you find it different from writing books and magazine articles? Edward Glassman: On a whim, I asked the editor of a local newspaper if he was interested in publishing a weekly column on creativity at work. He said, "Yes." It was that simple. Writing a column is different in that I occasionally did interviews. And I was limited to about 600 words. So I would write at least 1200 words using automatic writing, and painfully pare and hone the column down to 600 words. I enjoyed the process thoroughly. Why did I write the column? Although I had written books on creativity as part of my professional work, I always wanted to write a book on creativity in which small, easily digested bites of information would be useful and quickly available. I started writing the newspaper column because it seemed to be a way to make such a book happen, and after a while Team Creativity At Work II came alive for me. VB: Team Creativity At Work II, you include a column entitled "Mid-Career Productivity Sag: What To Do About It." What is this about? Edward Glassman: There are many reports that productivity and creative output peaks in midlife, say age 40 to 50, and declines after that. One such study of 1,300 scientists and engineers is reported in Chapter 10 of Scientists In Organizations, by D. C. Pelz and F. M. Andrews, published in 1976.
contributions to a specialized field of knowledge as rated by colleagues. The results are startling. All groups showed a peak in productivity at about 45 years of age, much lower productivity at age 50, and a small rise in productivity at about age 55. What could account for this mid-career productivity sag followed by a mild recovery? Self-reliance or a desire for self-direction seemed important. Strong self-motivation seemed important to reducing the sag. What to do about the mid-career productivity sag? Accept it as normal. Talk about it in a supportive way. Internal motivation counts. We should help younger people prepare for the productivity sag with early career planning to reduce or prevent it. Plan for renewal at appropriate times using sabbaticals, job rotations, training, advanced degrees, or other novel approaches. We should also consider ways to revive self-motivation and involvement in older people. Give them choices that include new projects, transfers, and additional training. Allow them to become intrapreneurs, or to move into consultant or administrative roles. Train them to become mentors and supportive helpers of younger people. I suspect that older employees represent a valuable untapped human resource for companies that a creative approach may unleash. Does anyone want to arrange a creativity meeting to solve this problem? VB: Have you reached the stage where your "Zen moments" of practicing creativity procedures have become your habitual way of thinking? VB: How did you get into the publication Who's Who In America and Who's Who In the World? Edward Glassman: They sent me a detailed questionnaire and asked me to fill it in. After I returned it, I was informed I was to be included. Apparently I was referred to them. VB: Do you have any advice for parents on how to promote the development of their children's creative thinking ability, or at least not lose their innate ability as they grow older? Edward Glassman: I am no expert in this field, even though it is of great interest and importance to me and most parents. Any remarks I make would not be based on research. My advice is read books on promoting the development of children's creative thinking ability. VB: Are you optimistic about the future? Edward Glassman: I certainly am. Optimism helps. When I look at my 4 daughters and my 16 grandchildren, I see – except for a rare temporary downturn – happy creative people, working, learning, contributing, and having fun. I am content. VB: You should also be content with the significant contributions you have made to helping us to be more creative. Thank you. Author Ed Glassman, who trained as a geneticist, assures us that few creativity skills are inherited; most are learnable with training. It's cause for optimism. During our interview he talked about the study that indicated there is a small rise in productivity at about age 55. Dr. Glassman is an excellent example of someone who has continued the rise in productivity after age 55, and he should be an inspiration to us all. More cause for optimism. Dr. Edward (Ed) Glassman was a Professor at the University of North Carolina at Chapel Hill from 1960 to 1989. He founded the 'Program For Team Excellence and Creativity' at the university. Now retired, he was the President of The Creativity College, a division of Leadership Consulting Services, Inc. and led problem-solving Creativity&mdasn;and Innovation – meetings and creative thinking workshops and seminars for many large and small companies. He was a 'Guggenheim Foundation Fellow' at Stanford University from 1968 to 1969, and a 'Visiting Fellow' at the Center For Creative Leadership in Greensboro, North Carolina in 1986. Ed Glassman is the author of Team Creativity At Work I: You Do Want To Be More Successful Than Your Competition, Don't You? (2010), Team Creativity At Work II: Brainstorming Isn't Enough Anymore (2010), Creativity Handbook: A Practical Guide to Shift Paradigms and Improve creative Thinking at Work (1996), The Creativity Factor: Unlocking the Potential of Your Team (1991), and For Presidents Only: Unlocking the Creative Potential of Your Management Team (1990), and numerous articles about creativity and leadership. Readers should note that Team Creativity At Work I: You Do Want To Be More Successful Than Your Competition, Don't You? and Team Creativity At Work II: Brainstorming Isn't Enough Anymore are both available under one publication titled Team Creativity At Work I and II (2010).